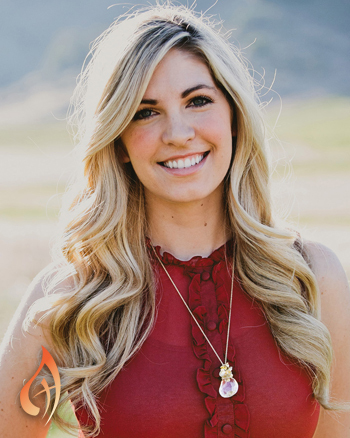 Jackie is a singer, songwriter, guitarist, speaker and youth minister with two solo albums and many big-time faith events under her belt, including World Youth Day. Jackie’s music and speaking ministry has taken her around the globe showing young men and women of Christ what it is to truly love and be loved by our God. She has a special calling to youth and women’s ministry events. Her message of faith is to be “someone who reminds people of Heaven in the busyness of everyday life” through humor, prayerfulness and song. 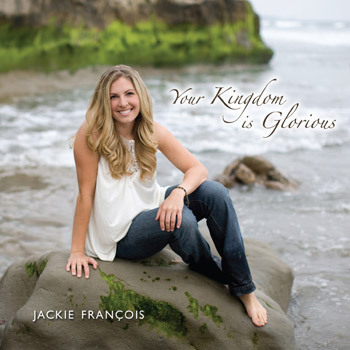 This 12-song CD by Jackie François features 11 original songs and one cover for praise and worship. In Greek theater, the happy endings found in comedies often take the form of a wedding. 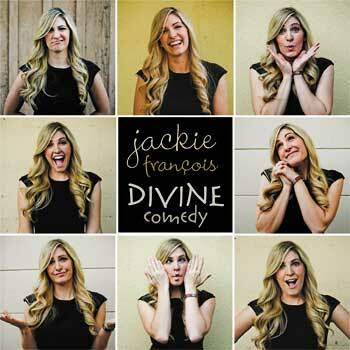 With this highly anticipated follow-up to her debut album, Jackie François presents our lives as a divine comedy that concludes with the happiest of all endings: the salvation we find when we, as the Church, are finally married to Christ at his return. Ranging from fun and energetic arrangements to longing ballads, Divine Comedy encourages us all—especially teens and young adults—to live a Gospel-focused life. These eight contemporary songs can also be used to breathe new life into liturgies, youth rallies, praise and worship, adoration and other parish events. Opening with an ethereal sound, "Your Love Is Better" builds to a passionate expression of the everlasting love that only Jesus can provide. "Divine Comedy" may be playful and upbeat, but bears profound testimony to the theology of the body. Wonderful as an entrance song or for Preparation of the Gifts, "Cornerstone" has also become a popular contemporary hymn for liturgy with teens. This is the MP3 playlist for the enhanced CD Divine Comedy. Jackie Francois is a singer, songwriter, guitarist, speaker and youth minister. For 22 years Jackie attended St. Joseph Catholic Church of Placentia, where the Life Teen started during her freshman year of high school. Coming from a musical family, she has been singing nearly her whole life. In June 2003, Tom Booth heard Jackie’s two-track CD and instantly recognized her talent. The Booth family mentored her both spiritually and musically and invited Jackie to sing at major faith events. After her debut album, Your Kingdom Is Glorious, was released to stellar reviews in 2008, she continued to cultivate her talents and gifts as a songwriter, worship leader and speaker. Her most recent release, Divine Comedy showcases her evolving musical talent and is a true celebration of life with songs of joy and tenderness. Currently Jackie lives in Southern California with her husband and two daughters. She serves the local parish of Santa Clara de Asis in Yorba Linda.